There were many things that I learned at Camp Blogaway this summer, and not just to always wear earplugs when sleeping in close quarters with fellow campers. Canadian Lentils gave me the greatest recipe inspiration from the entire weekend. Sure lentils are great in salad, soups and stews, but then they introduced the idea of lentils in dessert. Dessert? I've put avocados and bananas in chocolate mousse, but I had yet to put a pulse (yes lentils are pulses) into something chocolately. 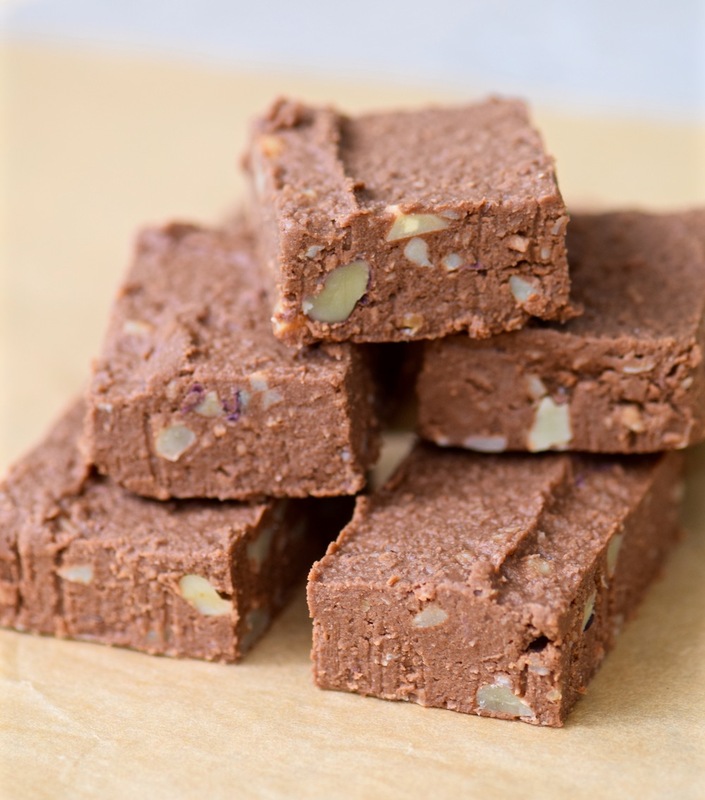 Enter Lentil Fudge. One day after hours of social media tip sharing, tagging, optimizing and networking, out came midnight coconut lentil fudge. Yikes, I dunno. Lentils and chocolate? Canadian Lentils was a sponsor so I put my game face on, dug in and assumed I accidentally received the full, pulse-less fudge. Lentils? In my dessert? Yup, I'm in. Lentils are full of fiber, potassium, folate and magnesium so you're getting a healthy hit of nutrients in your dessert. I tweaked the recipe a bit because I thought it begged for some mint and the crunch of crisp walnuts. Enjoy this dessert recipe that you don't need to feel guilty about indulging in, but try and not eat the whole dish in one sitting. It might be difficult. Place the seeds, flakes, lentils, cacao and honey in a food processor and pulse until smooth, scraping down the sides once or twice. Put the coconut oil in a small glass bowl and briefly melt for a few seconds in the microwave, until a liquid forms. Add it to the lentil mixture, along with with peppermint and walnuts. Stir until combined. Line a small pyrex dish with parchment and place the mixture evenly across all sides. Refrigerate for at least 3 hours and then serve, storing any leftovers in the fridge.